Friday 13 September 2013 at 9.30 a.m. at BFC Catwalk Showspace, Somerset House in London Turkish fashion designer Bora Aksu opens London Fashion Week Spring Summer 2014, marking his 10th year at the London Fashion Week. Aksu's latest collection at the London Fashion show will utilise Turkish fabrics and traditional techniques, with the colour palette of the collection being influenced by Turkish coastal resorts. Reflecting the creativity of a whole host of new Turkish designers and artists, there has never been a better time to discover the burgeoning scene in Turkey itself after LFW. All over the country new and established talents of fashion, culture and the arts are showcased with regular fashion events, art galleries and film festivals. All set against a backdrop of funky boutique hotels, and designer luxury hotels, not to mention a sophisticated food scene with innovative chefs interpreting Anatolian classics in novel ways at chic venues. Istanbul in particular has a thriving and vigorous contemporary cultural scene, with the city's Galata district all hip bars, pavement cafés and tiny boutiques opened by some of Turkey's up-and-coming fashion names. Elsewhere in Istanbul's 'Soho' area of Beyoglu, there is also a youthful contemporary arts and culture scene with such venues as the Istanbul Modern museum, Beyoglu's numerous independent galleries, vibrant street art and performers livening up what is Turkey's cultural capital. London based Turkish designer Bora Aksu received his first acclaim when he graduated from Central St Martin’s MA in 2002. Hailed as ‘the star of the show’ by The Daily Telegraph, The Guardian and The Independent, Bora’s collection also attracted the eye of Domenico Dolce and Stefano Gabanna who purchased pieces to use as inspiration. 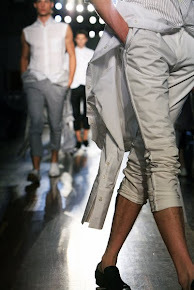 With confidence in Bora assured the ARG group awarded him sponsorship enabling him to make his debut off-schedule show at London Fashion Week in February 2003. A resounding success his debut was named ‘one of the top five shows’ by The Guardian and subsequently led Aksu to receive the New Generation Award placing him on the official London Fashion Week schedule the very next season. In total four consecutive New Generation Awards were given to Bora who remains on the official London Fashion Week schedule. Always happier in the background and rarely giving interviews Bora prefers to let his designs do the talking. Through his career he has developed a very distinct signature. Romantic but always with a darker twist his demi-couture pieces are full of elegance, intrigue and seduction. During his career Aksu has collaborated with other international brands like Topshop, Nike, Converse, Anthropologie, Absolute, Koton, Armaggan, Bracher Endem, People Tree and had seven windows at Selfridges. 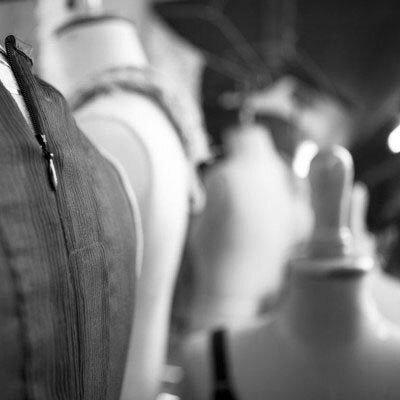 He has also created costumes for signers Clare Maguire, Tori Amos, Little Boots and dance company The Cathy Marston Project while dressing Keira Knightley and Sienna Miller for film junkets and collaborating with the Dali Institute and Design Museum. Bora Aksu now produces 4 collections a year having introduced Pre collections in 2012 as well as a hosiery line. In autumn winter 2012 his first handbag collection was released with exclusive styles launching in Harrods. 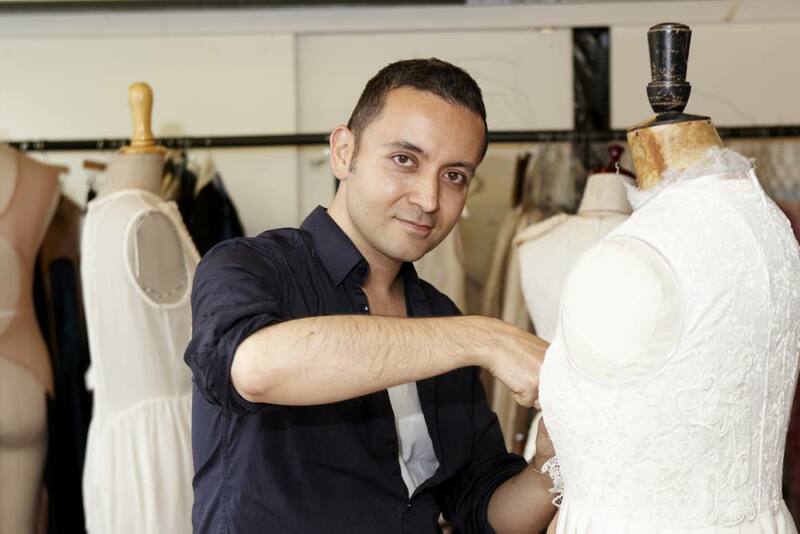 In 2012 Bora Aksu was asked to join the judging panel of the WGSN Global Fashion Awards and he also won Designer of the Year at the Elle Style Awards, Turkey.